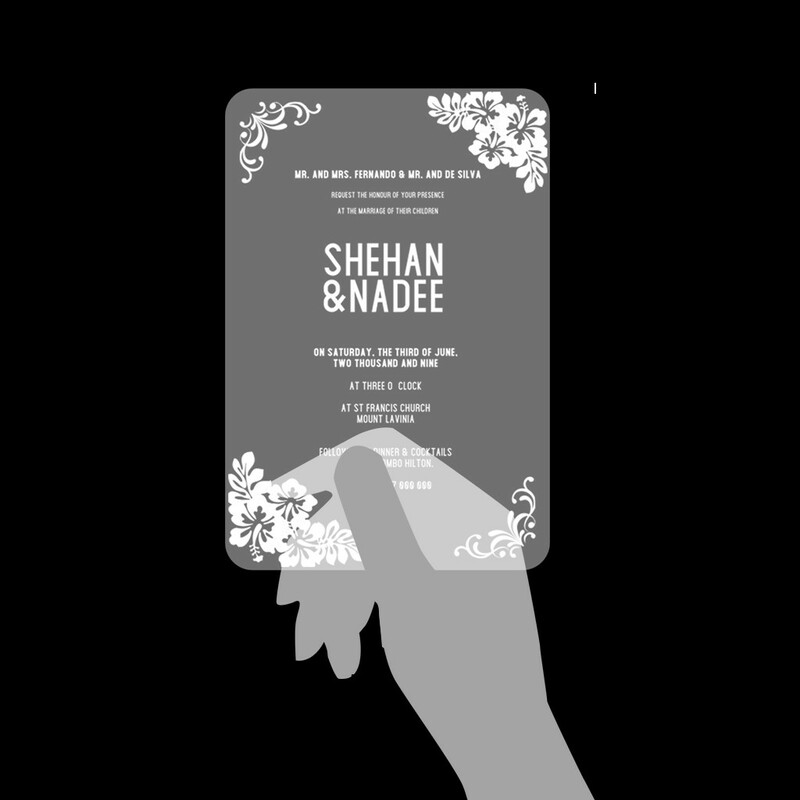 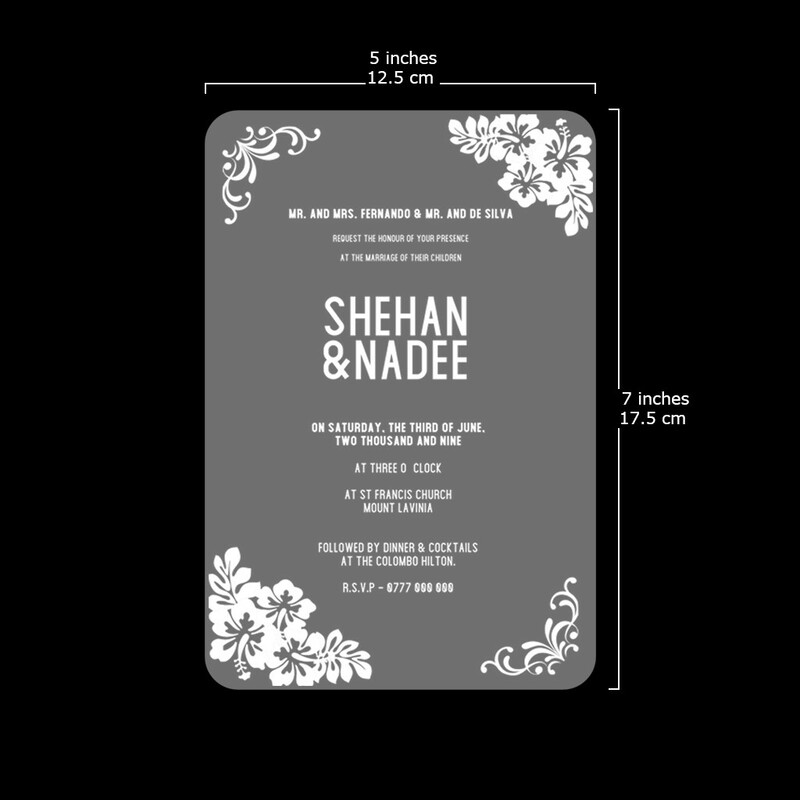 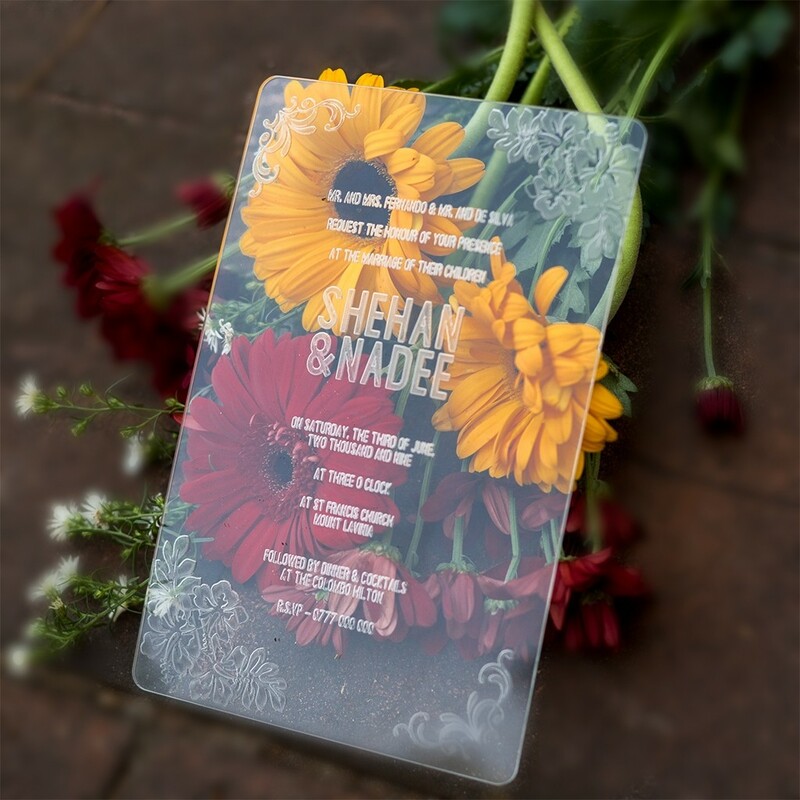 Clear Acrylic surface use of this design is made just for you who is trendy and are looking for a surreal see thrpough design to use for your wedding invitations. 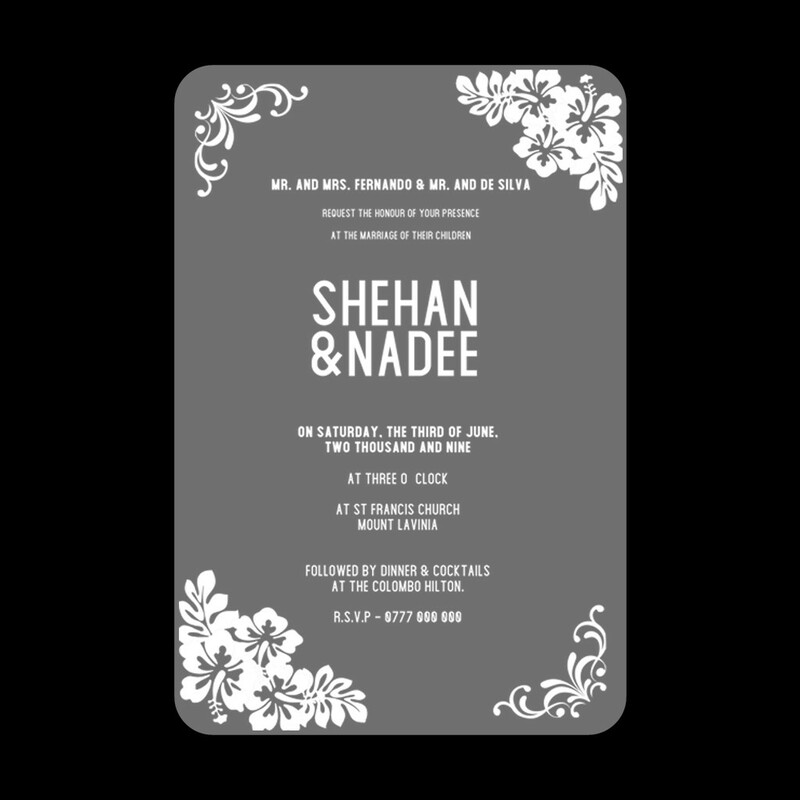 They give you the ultra-modern look that your wedding theme may be following. 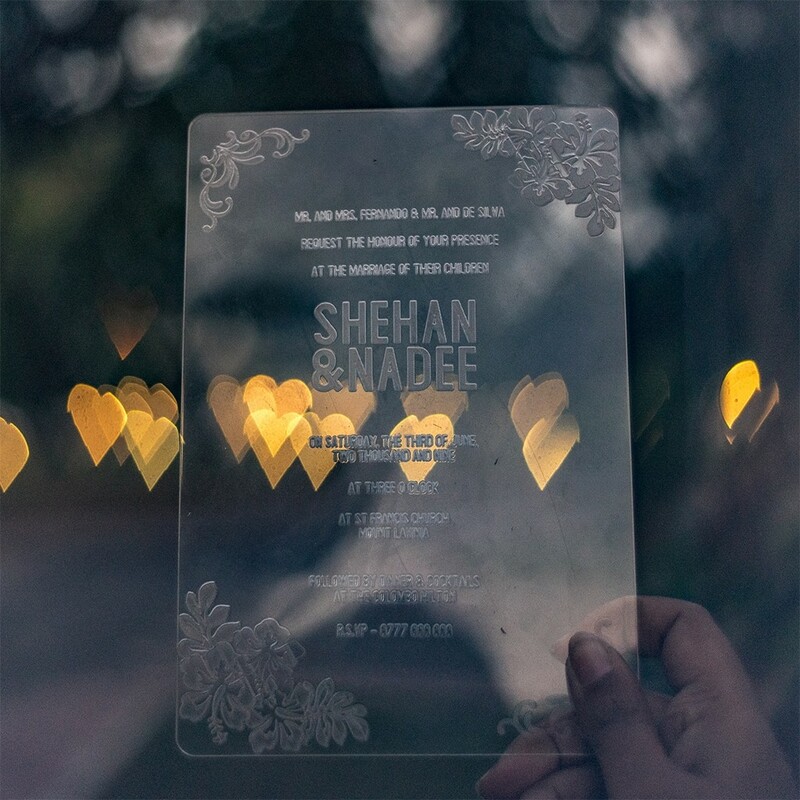 Make that special day of yours stand out from the rest.